Kevin Harvick, driver of the No. 4 Mobil 1 Ford Fusion for Stewart-Haas Racing (SHR), is going into the Gander Outdoors 400 Monster Energy NASCAR Cup Series race looking to master Pocono (Pa.) Raceway. Pocono Raceway’s unique three-turn design presents many challenges for race teams in setting up the car. The track, which was designed by two-time Indy 500 winner Rodger Ward, features very distinct turns each modeled after famous tracks from the past and present. Turn one was modeled after Trenton (N.J.) Speedway, turn two is like Indianapolis Motor Speedway and turn three is similar to the Milwaukee (Wis.) Mile. 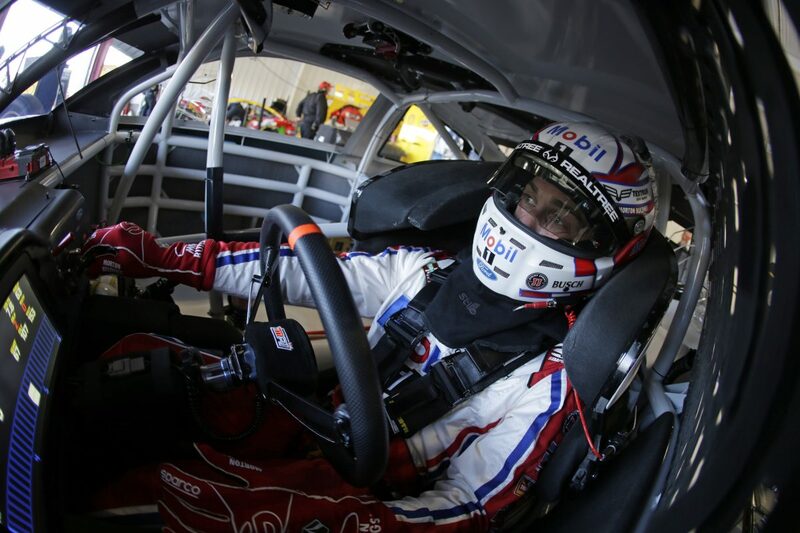 Thankfully, Harvick has an impressive partner in Mobil 1, an entity known for standing up to the toughest challenges. Mobil 1 is the “Official Motor Oil of NASCAR” and the Mobil brand of lubricant products are the “Official Lubricants of NASCAR.” Mobil 1 engine oils have long been the lubricant of choice for race teams competing in the most demanding and popular motorsports series around the globe. The history of Mobil 1 in motorsports dates back to rally competition during the early 1970s. However, its involvement in racing became more official in 1978 through sponsorship of the Williams Formula One team and the 1987 sponsorship of Rusty Wallace’s No. 27 car in NASCAR. From that time, the presence of Mobil 1 on racetracks and circuits has grown by global proportions. Today, Mobil 1 is relied upon for its ability to deliver exceptional engine performance and protection even under some of the most extreme conditions. Automotive technicians, racecar drivers, team owners and the world’s leading automotive manufacturers can all testify to the advanced technology delivered by Mobil 1 lubricants. Harvick’s performance in recent years, with Mobil 1 under the hood, could be an indication that the time has come to finally cross Pocono off the list. The driver of the No. 4 Ford Fusion has finished in the top-five in his last three Cup Series starts at Pocono, including two runner-up finishes, and he has four runner-up finishes in his nine starts at the 2.5-mile triangle since joining SHR. What is most important for Harvick coming into this weekend at Pocono and the five races that follow is the accumulation of playoff points that are so critical at this point in the season. Thus, even more pressure to start up front and, ultimately, to try to win the Busch Pole Award. Harvick’s series-best 32 playoff points heading to Pocono is just two makers ahead of Kyle Busch’s 30 and six points ahead of Martin Truex Jr. The “Big Three” of Harvick, Busch and Truex has accounted for 15 of the 20 race wins in 2018 and 66 percent of the total playoff points accumulated – 88 of 133 available through 20 races. The best way to score maximum playoff points in a race is to start up front, earn stage points and win races. Harvick and the No. 4 team can accomplish all of those goals with a win this weekend in the team’s final visit to Pocono in 2018.